Click the button below to add the Copper Range Hood '0194' to your wish list. 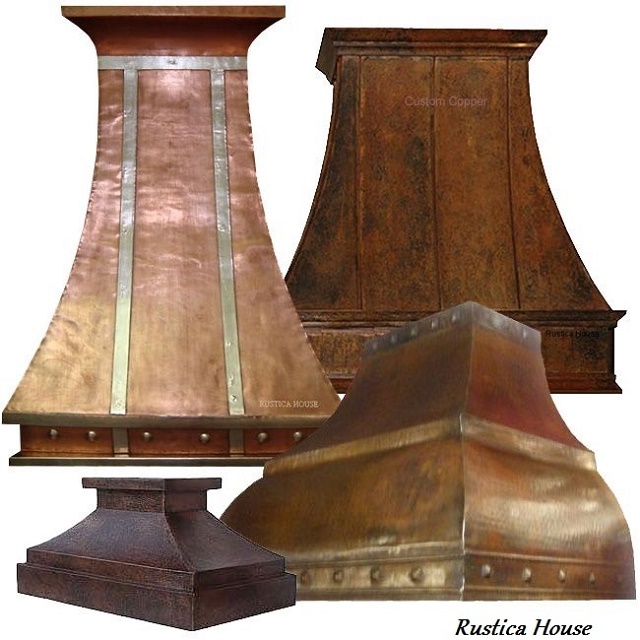 Rustica House copper range hood is cheap and at the same time top quality. Why? Our production plant is located in Mexico taking advantage of free trade agreement and lower skilled labor cost. Look at hand hammered details decorating it. The only tools used to create this range hood are hammer and the welding torch. The hood is made of iron structure in the form of the design covered with copper. No other metal is used for its production. Model "CH980294" is up for sale as wall or kitchen island. Select the desired style in the options below the price. Customize it further by choosing patina color. This copper range hood can be prepared for your own insert installation. Select $200 custom work and let us know your equipment brand and model. As cheap alternative, we offer our own 200CFM ventilation unit equipped with light and filter. Delivery time estimated for five weeks to the US mainland. Length: 30", 36", 42", 48", 52", 60"